3 DIY Cleaning Product Myths Busted! Home > Blog > 3 DIY Cleaning Product Myths Busted! Our social media timelines are forever filled with quick fixes, super diets and life hacks we never knew we needed. Our screens are filled with sponsored posts and strange advertorials such as ‘101 things to do with vinegar’ and ‘Throw away all your cleaning products and use these four ingredients!’. From vinegar and olive oil to baking soda, there are many so-called natural remedies out there, but do they really work and are they any match for shop bought household products? We did our research and here are some DIY cleaning product myths busted! Vinegar has more uses than any other product if we are to believe the ads which appear in our search engine side bars, magazine supplements, and pop up ads. It’s true that vinegar does have some great uses and benefits, but it can’t do everything. Mixing olive oil and vinegar is meant to be a great furniture polish, but there is often a sticky residue left behind, and that becomes a magnet for even more dust! It has also been suggested that vinegar and essential oils mixed in a spray bottle can become a good general spray cleaner. While it may smell divine, there is no anti-bacterial component in this DIY cleaning mix, so for a hygienic clean, wipe down for your kitchen and bathroom with a shop bought cleaning product. This is a cleaning trick from way back in the day. Yes, cleaning windows by using newspaper can work, but it takes a lot of effort and can leave print marks on window frames and ledges, not to mention it being harder to get rid of smears. Also, us Australians increasingly get our news digitally so even finding a newspaper can be harder to come by! If you have the time and want a workout, then this old school way will work for you, but if you are time poor like most Australians, choose a specific glass cleaning spray and wipe. The job will be done in half the time and with a cleaner finish so you can get on with your weekend. 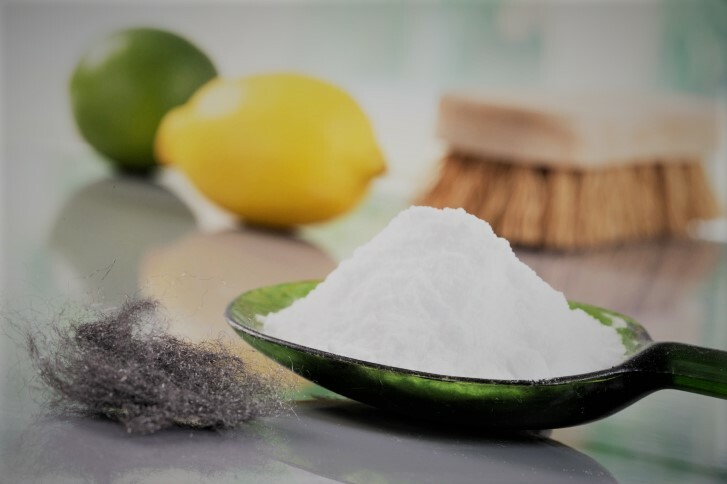 Baking Soda should be a staple in everyone’s pantry but, like vinegar, it cannot replace all of your cleaning products and doesn’t quite cut the mustard when it comes to some suggested uses for DIY cleaning products. Pinterest and other sites can tell you that baking soda and crushed eggshells make for a great shower cleaner, but in all seriousness, who has the time to crush eggshells and scrub every inch of your shower with baking soda? Like the vinegar cleaning recipes, there is no anti-bacterial element when using this option, so your bathroom will soon start to smell stale and grouting will discolour. There is also little chance of this mixture cutting through a family sized layer of shower soap scum, so grab a cleaning product specifically for the job and spray, then wipe, to get a sparkling shower in no time! If the reason you want to turn to natural products is to live a greener lifestyle, seek out some green certified products. If you use a cleaner, you can even ask them to go green and use environmentally friendly and less abrasive cleaning products. The market for environmentally friendly products is growing, so you don’t need to look far to find a greener alternative which won’t involve a whole day’s worth of household cleaning when you’d rather be out doing something far more interesting.